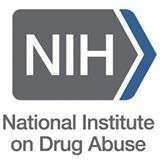 Developed by NIDA and Medscape Education, with funding from the White House Office of National Drug Control Policy, these CME courses provide practical guidance for physicians and other clinicians in screening pain patients for substance use disorder risk factors before prescribing, and in identifying when patients are abusing their medications. The courses use videos that model effective communication about sensitive issues, without losing sight of addressing the pain. Click here to view the press release. The goal of this activity is to describe the symptoms and prevalence of opioid addiction and dependence in patients with chronic pain, and the steps clinicians can take to screen for, prevent, and treat such conditions.